Grasshopper Sparrows are not named for their eating habits, though they do eat grasshoppers, but because the singing males sound uncannily like grasshoppers. The Florida Grasshopper Sparrow (Ammodramus savannarum floridanus) is a subspecies, and though it shares the Florida prairies with other grasshopper sparrows in the winter, floridanus stays year round. 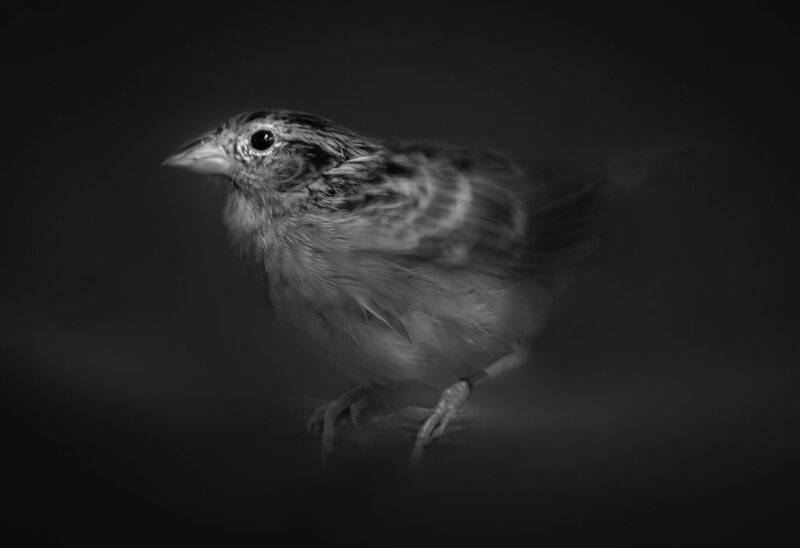 Though believed to be more widespread in earlier times, the sparrow is now found only in the headwaters of Florida's Everglades, a region sometimes referred to as the Northern Everglades. Today, the sparrow is known only from three protected areas and one private property, including Three Lakes Wildlife Management Area, Kissimmee Prairie State Park, and the Avon Park Air Force Range. Map of the Northern Everglades made by Archbold Biological Station. The Florida Grasshopper Sparrow is dependent on the Florida dry prairie, a unique habitat found only in Florida. The habitat, sometimes called the palmetto prairie, consists of large flat treeless areas with grass and saw palmettos. The prairie is maintained by frequent fire and, even though called dry, can have portions that flood for weeks or months during Florida's rainy season. 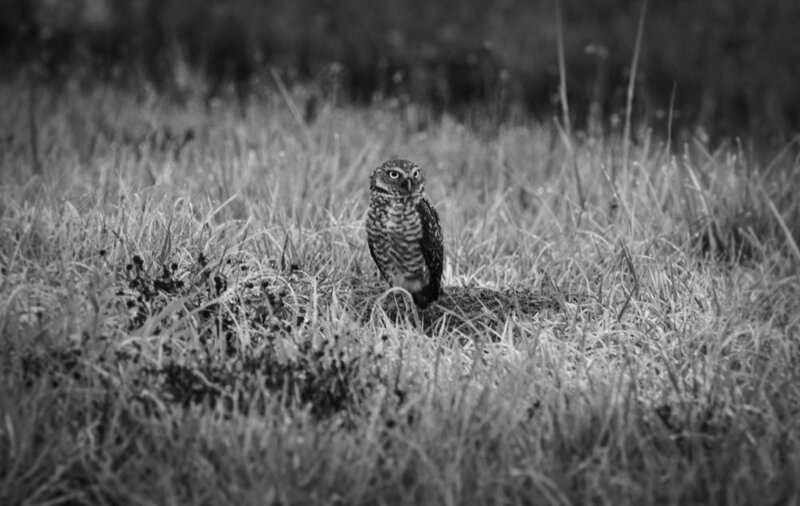 The Florida Grasshopper Sparrow shares the prairie and its wetlands with at least nineteen nesting birds, including the Eastern Meadowlark, Burrowing Owl, Florida Sandhill Crane, and Audubon's Crested Caracara.